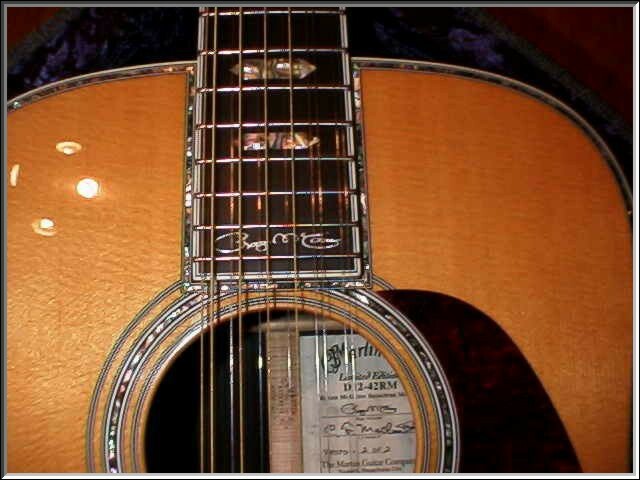 Notice that the low E and A string saddles are all the way back?This is necessary to obtain proper intonation. But it can't be done unless you remove the springs from the saddles. The rest of the springs are all right to leave in place; they don't get in the way. OK, this is not a Rickenbacker but Roger has now two models to call his own. That´s really something! Read about it below the picture! Los Angeles, January 28, 1999 -- Rock and Roll Hall Of Fame Honoree James Joseph "Roger" McGuinn, III is acknowledged to be one of the most influential 12-string guitarists in the world. Founder of The Byrds, one of the most important folk/rock groups of the '60s, McGuinn and his 12-string electric Rickenbaker are legends in music history. The Byrds' lineup through the years always included McGuinn, and, during the group's long history, other members of the group were such stellar performers as Gene Clark, David Crosby, Gram Parsons, Gene Parsons and of course, the legendary Clarence White. 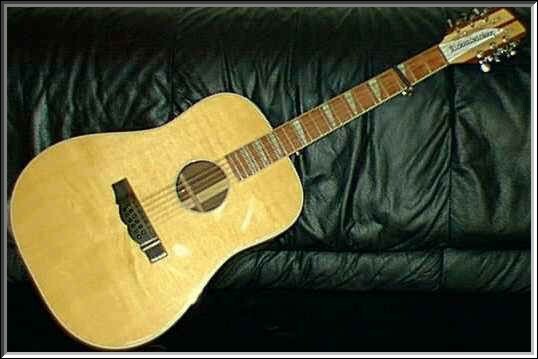 When McGuinn is not "plugged in" he has long favored his Martin 12-string guitars, of which he owns several. 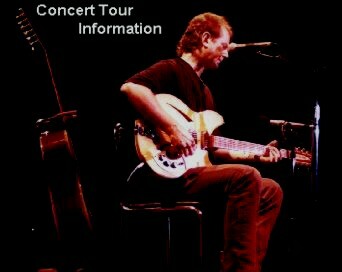 In honor of McGuinn's dedication to Martin and his expertise on the 12-string guitar, Martin is proud to introduce the Limited Edition D12-42RM Roger McGuinn 12-String guitar. and a Style 45 multi-colored mosaic inlay strip demarcates the two piece back. The neck of the Roger McGuinn limited edition guitar is shaped from solid genuine mahogany and the fingerboard, inlaid with Style 45 abalone hexagons, is crafted from solid genuine ebony. The body, fingerboard and headstock are bound with vintage style grained ivoroid. 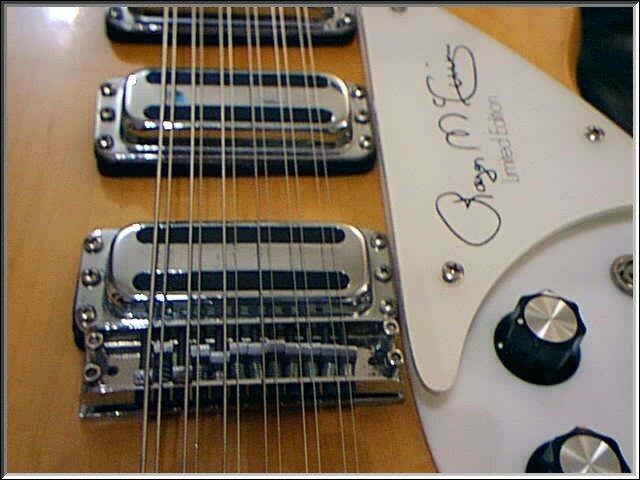 Roger McGuinn's signature is tastefully inlaid in pearl between the 19th and 20th frets. The soundboard is tinted with golden "vintage toner." The body and headplate are finished with nitro-cellulose lacquer and polished to a high gloss, while the neck, finished with satin lacquer, remains smooth to the player's touch. In keeping with the wishes of Roger McGuinn, the deluxe 5-ply Geib¨ style vintage case is custom covered in black denim, with a special royal blue velvet interior. and the largest maker of acoustic guitars in the United States, dates back to the 1830s when Christian Frederick Martin, Sr. emigrated to the United States from Germany. The guitar shop he set up over 165 years ago has been continuously family owned and operated. Current Chairman and CEO Chris Martin, IV is the sixth generation Martin to head this venerable company.